Did you know that construction of Norwich Northern Distributor Road – now formally named Broadland Northway – includes around 25km of cycle paths and bridleways? Providing for walkers, cyclists and horse riders was part of the original design brief, and although these paths are primarily designed to serve local communities, the can be linked together so that it is possible to cycle the whole 19km length of the road without setting wheel on the dual carriageway itself. Not all the route is on new paths close to the road. Where good routes already exist (eg Beeston Lane) these have been used. 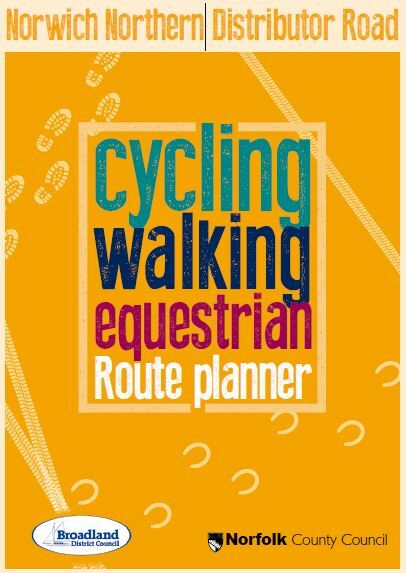 To help you explore these paths and links the County and Broadland councils have produced a route planner. Later in the year, these new paths will be incorporated into a new Norwich Cycle Map. Please note that construction of some of these paths has been held up by bad weather and is continuing. Some sections, such as the link through Drayton Drewray Woods, can only be carried out later in the year when ground conditions allow.